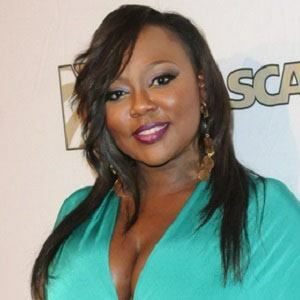 Famous for her membership in the Atlanta-based female R&B group Xscape, she contributed to the Billboard Top 10 singles "Understanding," "Just Kickin' It," and "Can't Hang/Do You Want To." In the early 1990s, she belonged to a music group called Precise. After signing with Jermaine Dupri's So So Def Recordings label, she and her Xscape bandmates released their first album, the U.S. Platinum-designated Hummin' Comin' at 'Cha, in 1993. An actress as well as a singer, she played the role of Vanessa in the 2005, Michael Whaley-directed film Fair Game. The daughter of teacher Gloria McFarlin and minister Randolph Scott, she grew up in Atlanta, Georgia, with a sister named Tamika. Her marriage to Rocky Bivens resulted in a son named Jamon. She met fellow, future Xscape member Kandi Burruss in the early 1990s.